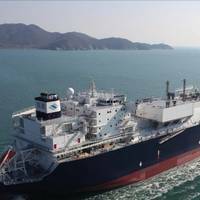 Qatar-based Shipyard, Nakilat-Keppel Offshore & Marine (N-KOM) has recently received its first floating storage regasification unit (FSRU) project at the Erhama Bin Jaber Al Jalahma Shipyard.The FSRU owned by Excelerate Energy (USA) will undergo drydocking, maintenance and upgrades at the facility, which is renowned for its expertise in handling gas carriers.During its drydocking, the FSRU will undergo several modifications and retrofitting of new systems, including the installation of a ballast water treatment system (BWTS). 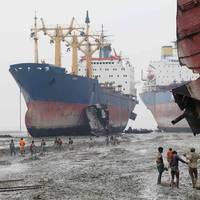 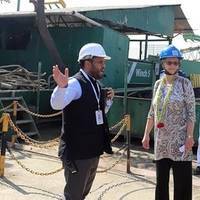 The ethics watchdog for Norway's $1-trillion wealth fund will focus this year on shipbreaking on India's beaches, which endangers workers and pollutes the sea and sand.The world's largest sovereign wealth fund, created from the proceeds of Norway's oil industry, operates under ethical guidelines set by parliament.The fund's Council of Ethics checks that companies the fund invests in meet these ethical standards. It set out its latest priorities in its annual report published on Wednesday.Johan H.
Hapag-Lloyd's 15,000 TEU ship "Al Jmeliyah" was officially christened in Rotterdam. 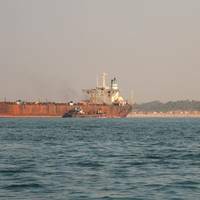 Naming patron is Inge Sijbesma, the wife of Feike Sijbesma, CEO of the corporation DSM – one of Hapag-Lloyd’s biggest customers in the Netherlands.The name “Al Jmeliyah” is Arabic for “the beautiful one.” With its ten sister vessels, the “Al Jmeliyah” numbers among the so-called “Ultra Large Container Vessels” in Hapag-Lloyd’s fleet.However, this was not the first time that Hapag-Lloyd has christened a ship in Rotterdam. 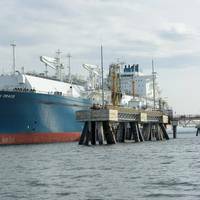 The most recent one was the christening of the “Rotterdam Express” in 2000. 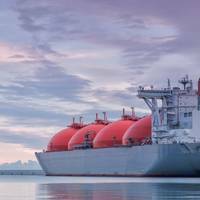 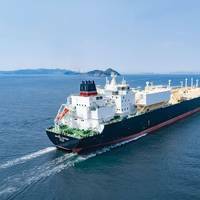 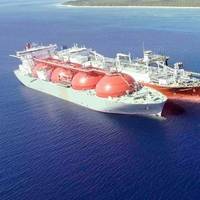 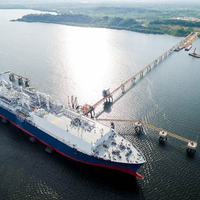 The global floating liquefied natural gas (LNG) trade reached 236 million tonnes in the first nine months of 2018, up by 7.1% from the same period of 2017 on a combination of robust Asian demand and new supplies of LNG from Australia and the USA, said Höegh LNG.The provider of LNG transportation and services said that for the full year, LNG trade is expected to reach around 320 million tonnes, up by more than 7% from 2017.Increasing Chinese demand continues to be a key driver for expanding LNG volumes.